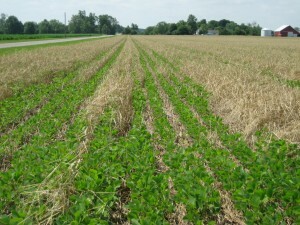 I am so pleased to present these photos of how well my friend Dave’s soybeans planted into tall cereal rye looks. Dave is from central Indiana between Indy and Lafayette. See the previous photo diary here. I know Dave gained lots of encouragement to try this from Howard and Mike Weller from the Continental, Ohio area. 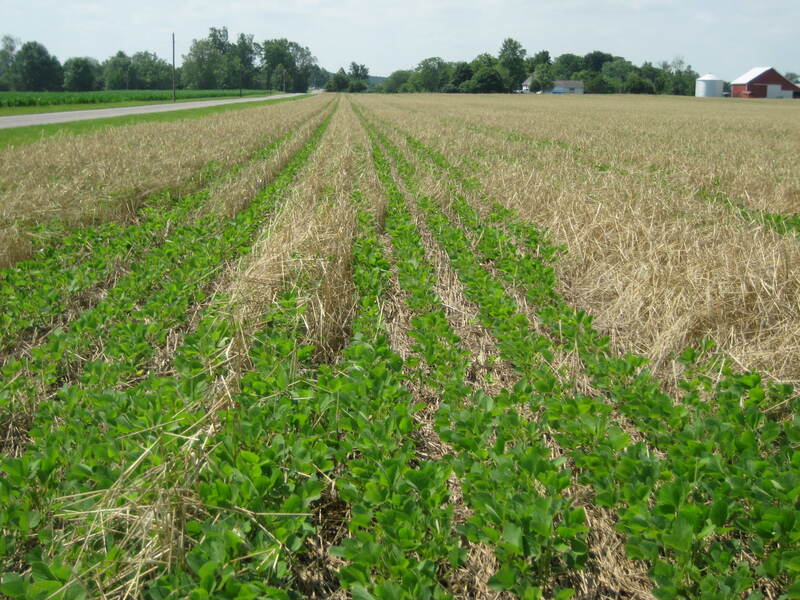 Click here see the Weller’s presentation that they gave at the Ada, OH cover crop meeting. Enjoy the photos sent from my friend Dave! This photo was taken June 21. 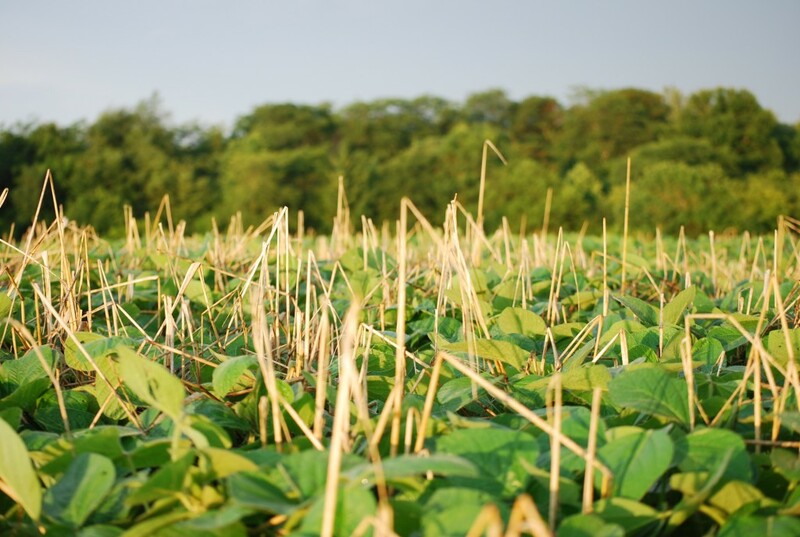 The rye is falling down and the beans look beautiful! Another view taken on June 21, 2011. This photo was taken the morning of July 1 after a rain shower. 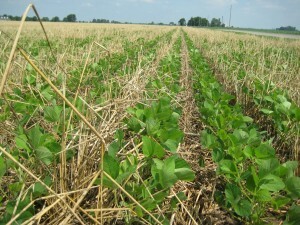 The beans are now just about to outgrow the rye stubble. 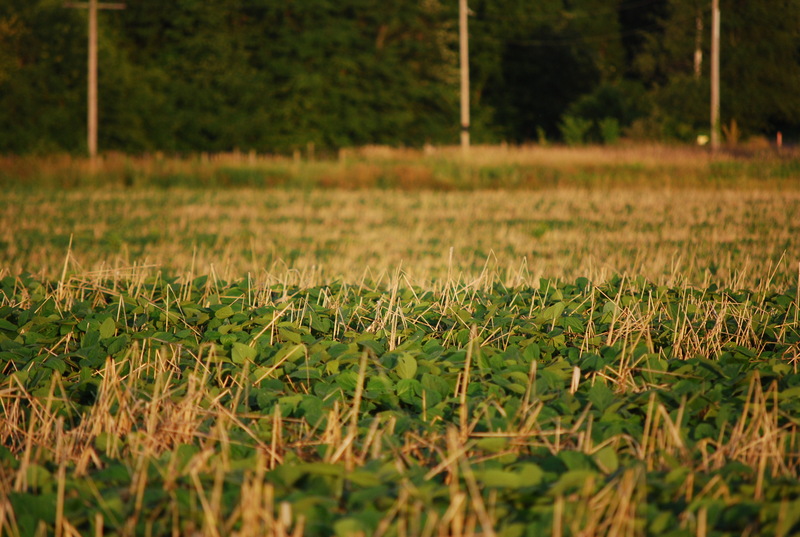 Note the cleanliness of the field…no weeds and no escapes on the rye. Another photo taken July 1, 2011. The soybeans are growing well in this cover crop of cereal rye! 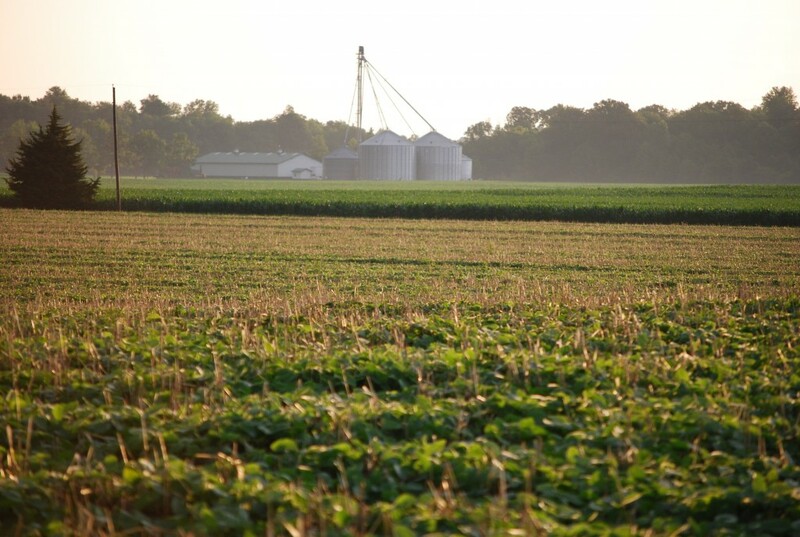 You cannot beat farming! 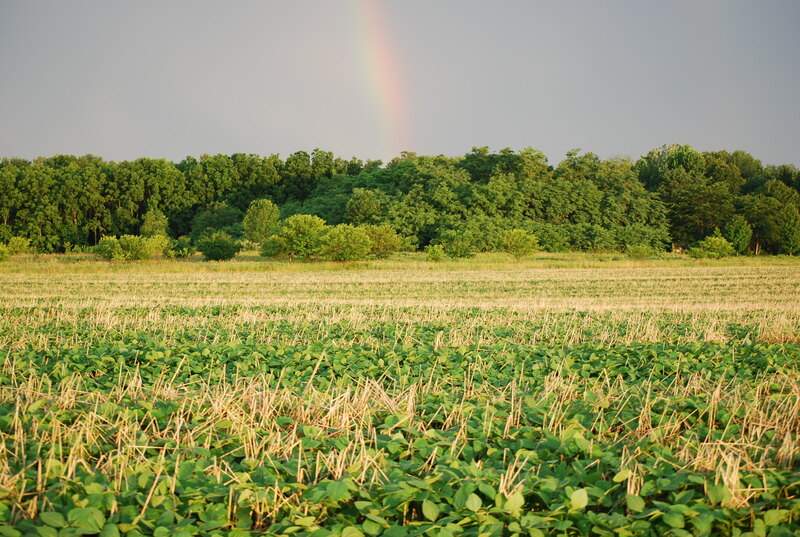 No-till soybeans into a cereal rye cover crop, a rain on July 1 and a rainbow! Perfect! 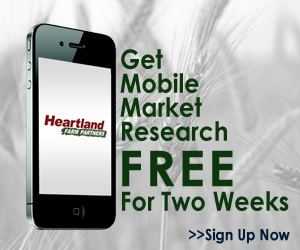 ← Do Cover Crops Hinder Corn Population?